Some vines on the side of a building on Market Street. 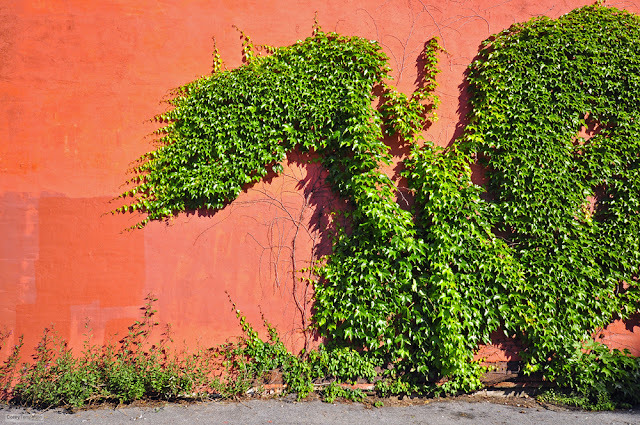 I always thought this big wall looked boring so it's nice to see something growing on the side of it. It would be snazzy if they trimmed this vegetation into some sort of design.